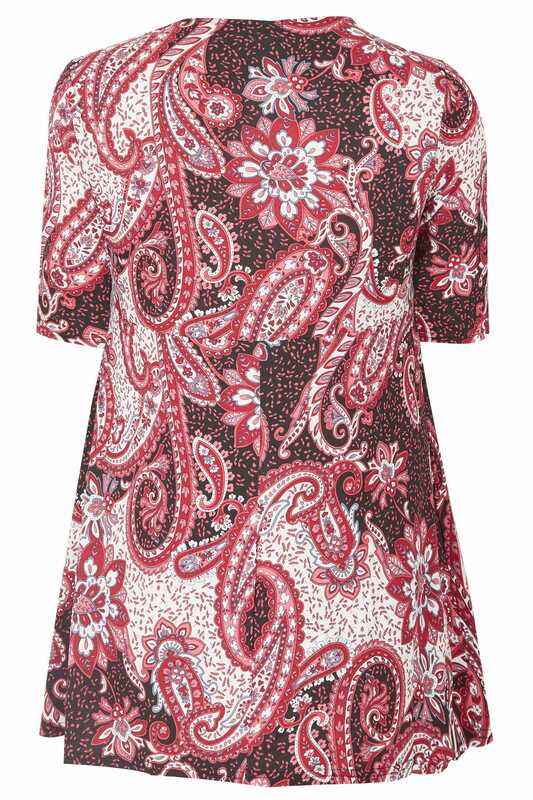 For easy daytime looks, choose this elegant jersey top boasting an all-over paisley print. 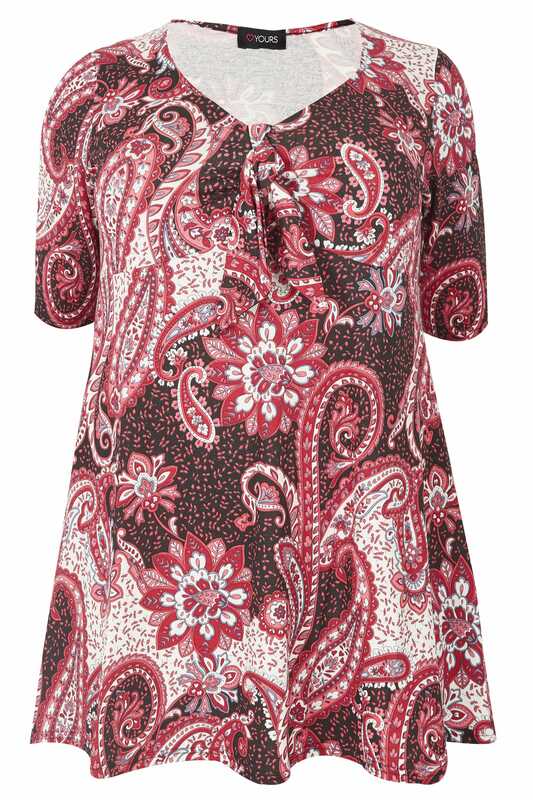 Featuring simple short sleeves and a feminine v-neckline, it features a knotted front for added detail. Team with classic denim and a pair of pumps for everyday style. In a deep red hue, it is perfect for introducing colour to your wardrobe.